David Wolkowsky on Ballast Key, an island he owned about 9 miles from Key West. "The one word that always comes to mind when talking either about David or even with David when he was here is the word glamorous. He loved that word. He kept insisting that Key West be this glamorous place," said Cori Convertito. She's the curator at the Key West & Art Historical Society and worked closely with Wolkowsky on exhibits of his collection of paintings by his longtime friend, playwright Tennessee Williams. Key West is known more as "laid-back" than glamorous. People wear shorts and flip-flops to almost anywhere, including weddings and funerals. But that wasn't David Wolkowsky's Key West. 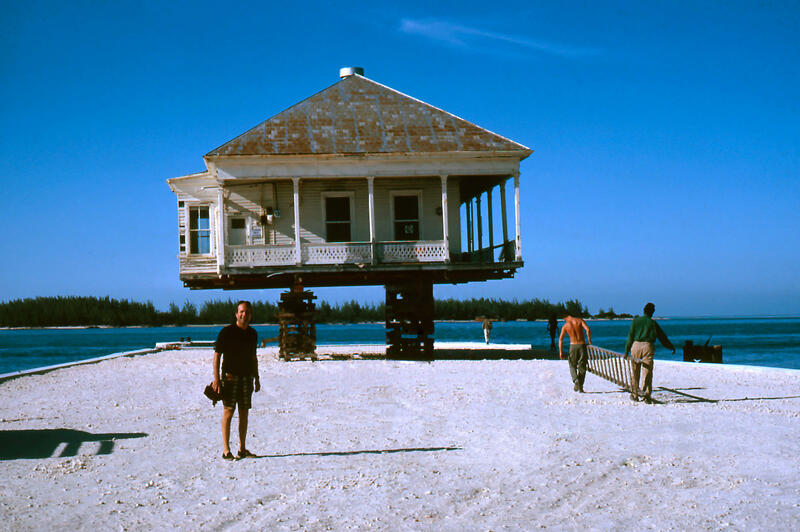 David Wolkowsky bought a piece of land on Key West Harbor in the early 1960s and turned it into the Pier House resort. 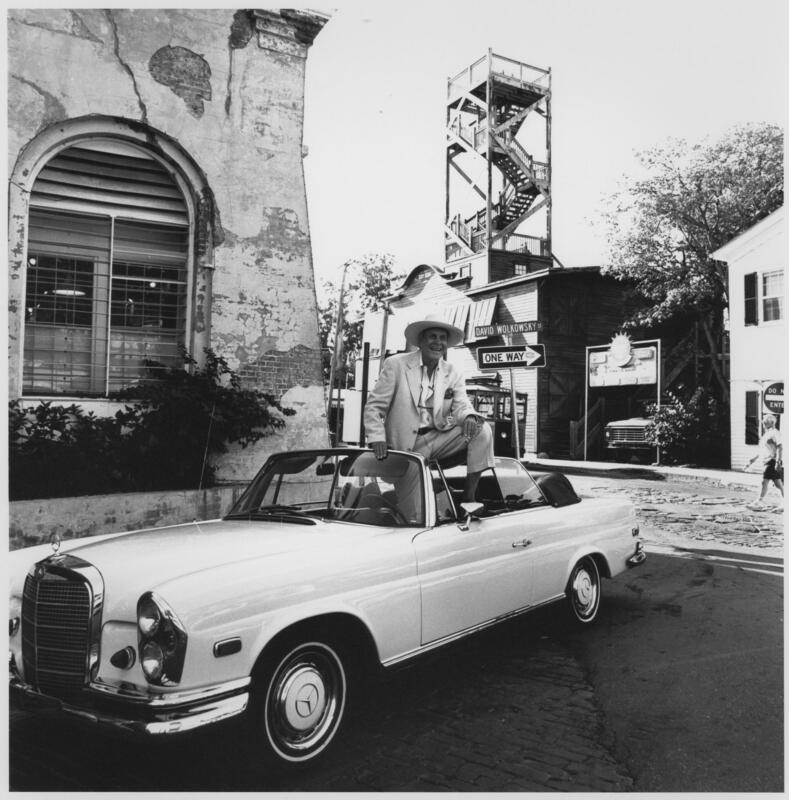 Wolkowsky lived in Key West for a while as a young boy — and returned in the early 1960s after a career restoring historic buildings in Philadelphia. He’d inherited some old buildings from his father near the Key West waterfront. "David began to renovate those buildings and really, I think, was one of the main people responsible for the historic preservation movement and for showing people that Key West's past, its history was worth saving, had a certain glamour to it, was beautiful," said Arlo Haskell. Haskell is the author of "The Jews of Key West." The book includes accounts of Wolkowsky's family. His grandfather Abraham arrived on the island in 1886. "In fairly short order, certainly by the turn of the century in 1900, he was a fairly prominent local businessman. He had moved from peddling his wares either out of a backpack or a street cart to owning storefronts in locations on Duval Street at what was then and what still is one of the busiest corners of Key West, at the corner of Duval Street and Greene Street, where Sloppy Joe's is today and at that time was near the main shipping line and the streetcar line ran right across there," Haskell said. "City Hall was right there so it was really the hub of Key West." Abraham's son Isaac - known as Ike - went into business with his father. "They owned clothing stores. They owned saloons. They had a billiards hall. They had a furniture store as well, they had a whole bunch of different businesses," Haskell said. The city named a street after Wolkowsky in the downtown area where he redeveloped family-owned properties. Shortly after David Wolkowsky — Ike's son — was born in 1919, Key West was hit by a hurricane - a category 4 storm that passed just south of the island. Military operations pulled out with the end of World War I. The city hit hard financial times. In the early 1920s, the Wolkowskys, like many families, left Key West and moved to Miami. Wolkowsky had a career restoring historic buildings in Philadelphia. He returned to Key West in the early 1960s, inheriting his family's property there. And he started restoring them, a move that was counter to the conventional thinking of the time, Haskell said. "This was a time when most businesses were kind of leaving downtown for the shopping centers in New Town. 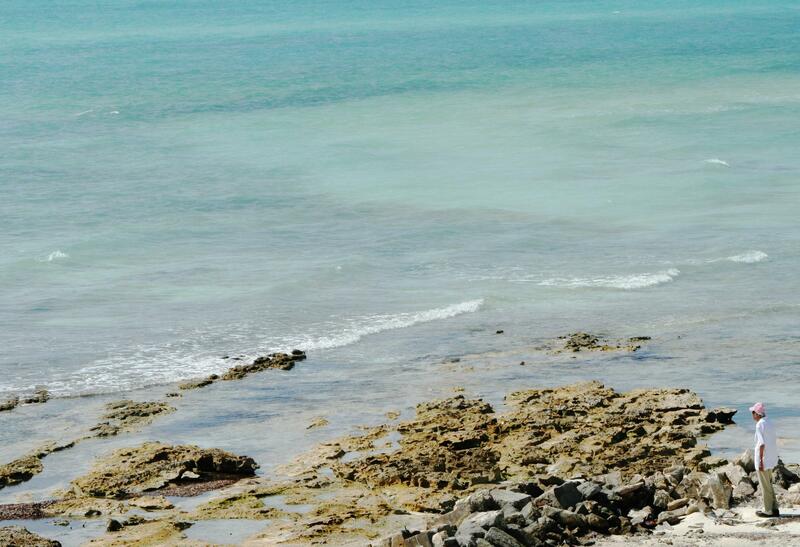 So he really had an eye for old Key West, the Key West that he knew from his very early boyhood," he said. "I think of David as having one foot in that 19th century, early 20th century experience of his father and grandfather, and also positioning Key West into the future, into a more modern sensibility." At the same time that Wolkowsky was restoring old Key West buildings, he was creating new ones - like the Pier House hotel right on the harbor. "I think of David as both the set designer and the casting director for Key West," Haskell said. His visitors included composer Leonard Bernstein and writer Truman Capote. And he was close to the island's biggest celebrity at that time — playwright Tennessee Williams. 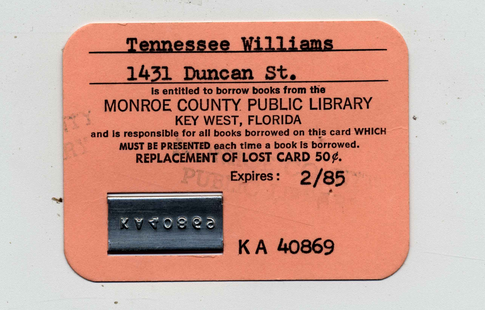 Williams was, according to Wolkowsky, a shy man who appreciated Key West for its low key atmosphere. "He liked the freedom, he lived very quietly," Wolkowsky said in a 2014 interview. "Tennessee lived very modestly and drove his bicycle and was not bothered by people." 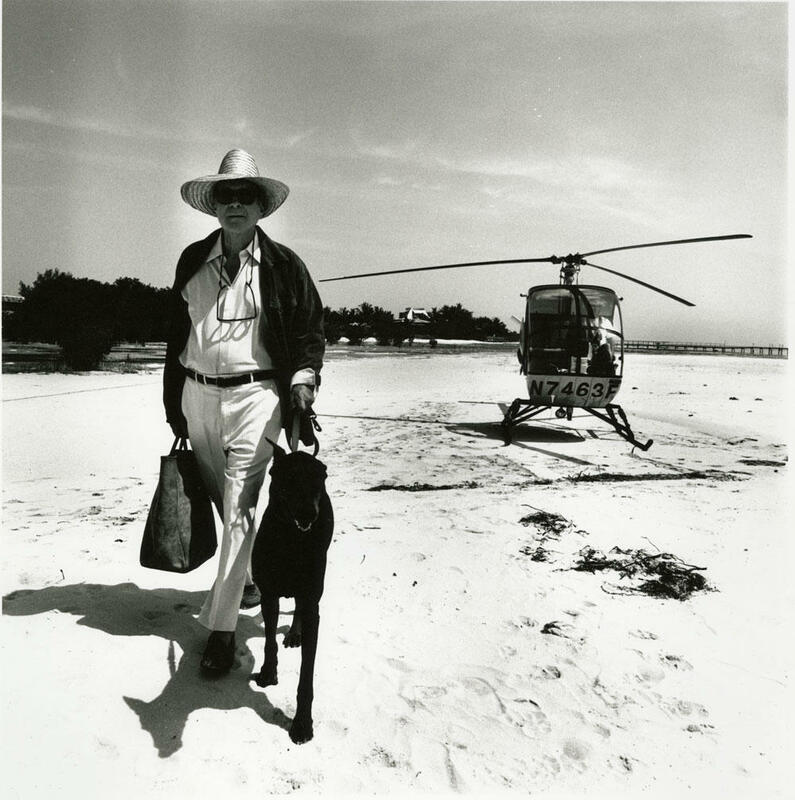 Wolkowsky loved hosting visitors of all kinds at his island, Ballast Key. The Monroe County Commission in August supported re-naming the island after him. Wolkowsky delighted in introducing celebrities, especially from the literary and artistic worlds, to Key West. And then summoning his Key West friends to meet them. Tony Falcone came to Key West in the 1970s with his partner, Bill Conkle. They opened a store called Fast Buck Freddie's and Wolkowsky persuaded them to move into a nearby empty building he owned, the former Kress five-and-dime. At the time, the 500 block of Duval Street was considered a wilderness, where few would venture, Falcone said. "David knew the magic of Key West," he said. "He knew what it could be." And he supported businesses in his buildings to help get them through the slow season, Falcone said. Falcone was working at the store one day when Wolkowsky called him from a new hotel he was building, over on the Atlantic ocean side of the island. "And he said, why don't you come have lunch with me? I think you'll be amused," Falcone said. So he got on his bike, rode over and made his way through the construction site. And he heard loud music, which was unusual for one of Wolkowsky's projects. "And he said, 'look over there.' And I look across the beach and there, with all this music going on, is Nureyev and another young dancer, leaping through the waves across the beach, having this incredible time. He was performing in Miami, David invited him down and David and I had this incredible show," Falcone said. It was the legendary ballet dancer, Rudolf Nureyev. Wolkowsky also owned properties in Miami and New York City. He could have lived anywhere, in other places that reflected a more conventional conception of glamour. 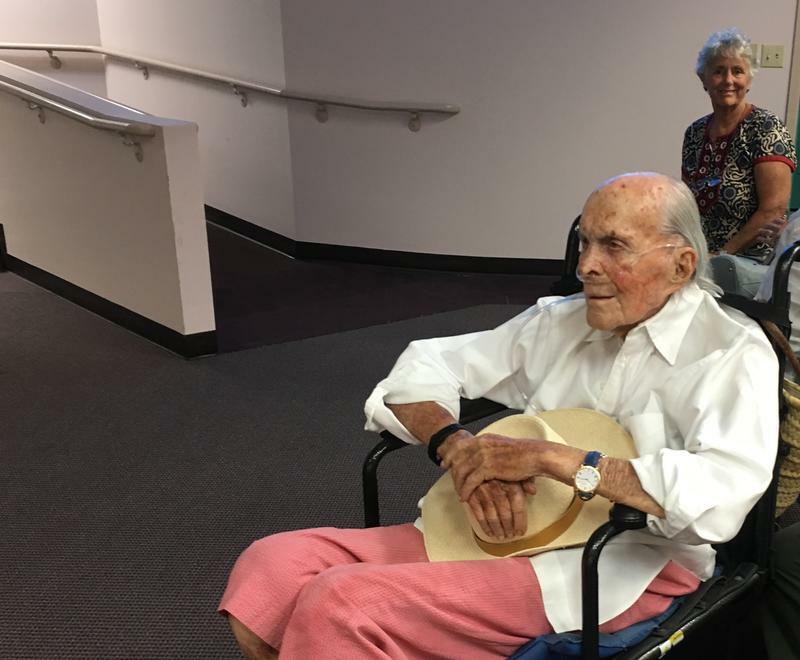 "He had a vision of Key West that was fairly Bohemian and he was trying to keep that alive or spread that even as other trends pushed it in more corporate or commercial directions," Haskell said. Wolkowsky's legacy lives on in the hotels he built and the buildings he restored. And in all the people who see past the sometimes kitschy or crass face of the island and get a glimpse of its underlying subtropical bohemian glamour. Editor's note: Arlo Haskell is executive director of the Key West Literary Seminar. Nancy Klingener is on the board of directors.